The team at Northern Territory Airports are regular and enthusiastic supporters of individuals, charities and not-for-profit groups in the Territory. The Corporate Giving Committee (CGC), comprised of volunteer staff members from our three airports, was setup to distribute funds dedicated to supporting the disadvantaged in our community. These funds are provided to the Committee by Northern Territory Airports and topped up through fundraising initiatives. One of the most prominent fundraisers is the Annual Darwin Airport Charity Golf Day, which is held every year in August. Airport staff and stakeholders dress up in costumes, enjoy a fun day of golf and raise money for great causes. 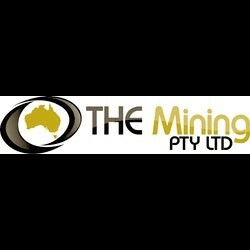 Local: the sponsorship must benefit Territorians, preferably in the Top End. Tangible: the funds must be used to purchase specific items, products or services. 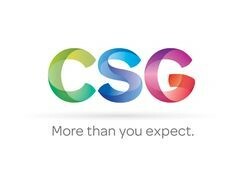 You need to be able to demonstrate the benefits to the community. A request for funds which nominates a tangible or specific item is usually viewed more favourably by the committee than requests for funds required for educational programs, travel expenses and non-physical items. Not reliant on our continuing support: in order to ensure the CGC is able to support a wide range of community projects, we ask that beneficiaries demonstrate that their work is able to continue without ongoing donations. Below are some of the Committee’s recent beneficiaries. 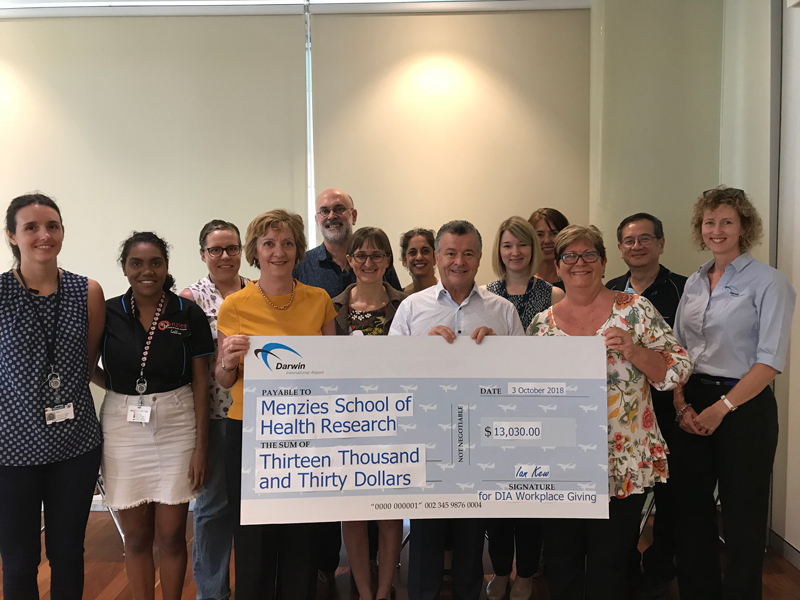 Menzies School of Health Research is one step closer to purchasing an anaerobic chamber, thanks to a generous donation of $13,030 from the Darwin Airport Workplace Giving scheme. NT Airports is grateful for the opportunity to support this worthy cause which will have a direct impact on the lives of many children in the NT, especially Indigenous children under the age of 10 who commonly suffer from middle ear infections. Taking time out of his hectic schedule, Santa found time to visit the children of remote community Tennant Creek on Wednesday 12th December. He exchanged his traditional sleigh for a trip aboard an Airnorth aircraft. Delivering a swag of donated gifts, Santa brought welcome joy to a community enduring the unwavering heat of December in the NT. was proud to sponsor the community BBQ for this event, and commend Airnorth for their continued support the NT, particularly servicing the remote corners of the Territory. 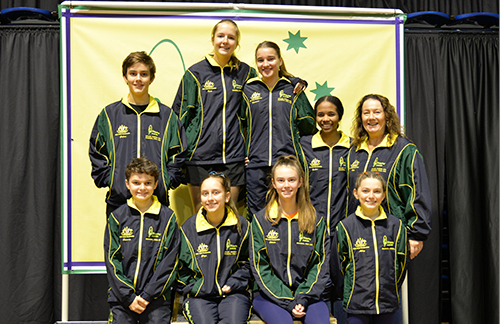 DIA through our Corporate Giving Program, is supporting a talented group of young Darwinites selected to represent Australia at the World Skipping Championships to be held in Shanghai, China, 23 July – 2 August 2018! We wish them well for their travels and the competition. Sparks flew when two Northern Territory fire services clashed in a charity football game at TIO Stadium on Saturday 2nd June in the inaugural Streeter/Clay Cup. The match was held in memory of fallen firefighters Ryan Clay and Rohan Streeter as a fundraiser for the Alan Walker Foundation and Helping People Achieve charities. DIA were proud to sponsor the jerseys and shorts for the airport fireys. A great day of footy and fundraising was had by all who attended. 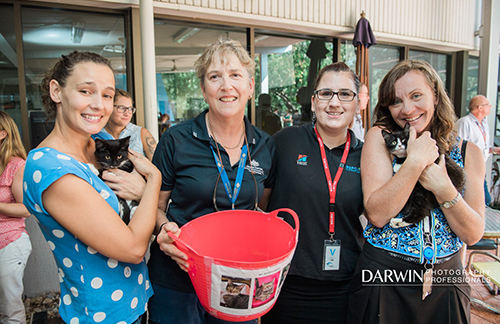 Together with our neighbours, Dept of Environment, DIA held a fundraiser for RSPCA cupcake day to raise much needed funds for Darwin’s shelter animals in August. Members from the RSPCA bought along some very cute kitties who made an appearance for cuddles. Over $650 was raised on the day and this was matched dollar for dollar by the Corporate Giving Committee. Did you know Pancreatic Cancer has the lowest survivability rates in the world, with only 7% surviving past 5 years, and one third of patients not surviving the first year after diagnosis? 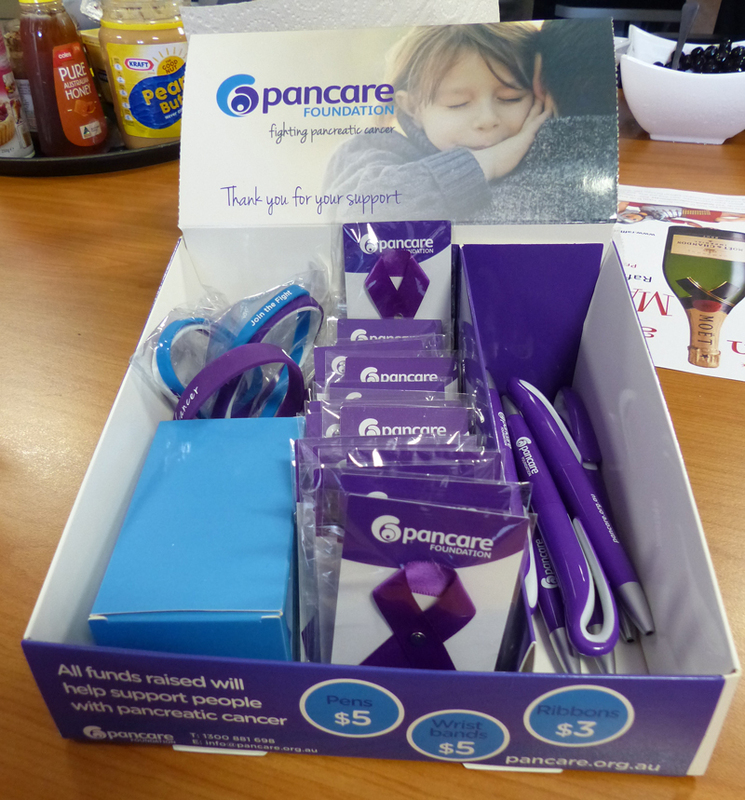 On World Pancreatic Cancer Day, Darwin Airport staff flipped coins and spatulas for a special morning tea to fundraise for this worthy cause – Pancakes for Pancare! Not only were the offerings delicious, the funds raised were matched by the Corporate Giving Committee making the donation a total of $570. 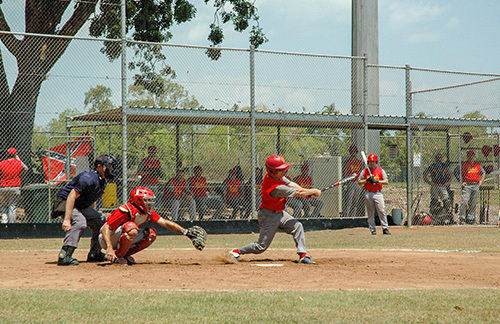 Through the Corporate Giving program, Darwin Airport was recently able to support the Tracey Village Rebels Baseball Club by assisting with the purchase of some much-needed equipment. On Sunday 9th September, three senior teams won their respective grand finals with players using the new 2018 Easton 650 Series Bats purchased through the Airports’ sponsorship. Each year Darwin International Airport partners with its stakeholders to raise funds for an important Top End cause at our annual Charity Golf Day. Now in its 13th year, the next Golf Day will be held on Friday 16 August 2019 at Darwin Golf Club. Through the generous support of our sponsors, players, staff and volunteers, the golf day usually raises between $30,000 and $40,000 for a local Top End charity. 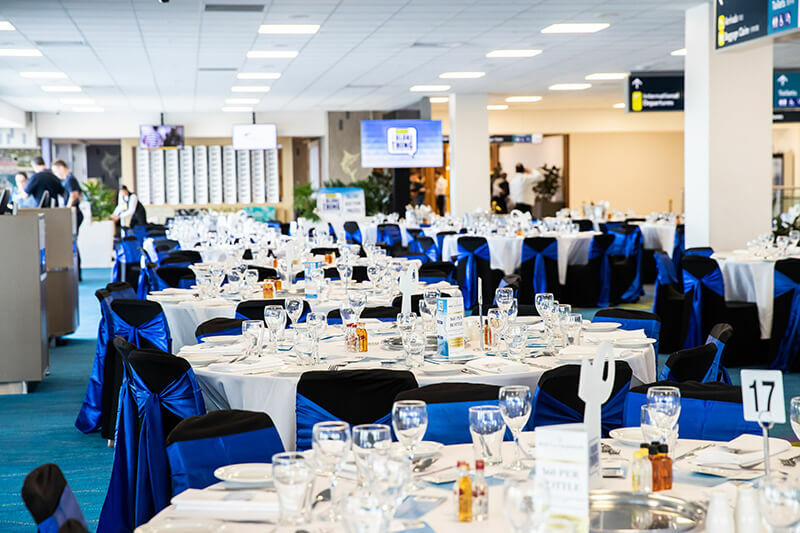 Darwin International Airport is seeking Expressions of Interest (EOI) from Top End charities who are interested in nominating their organisation and a suitable project to be considered as the beneficiary of the funds raised in 2019. 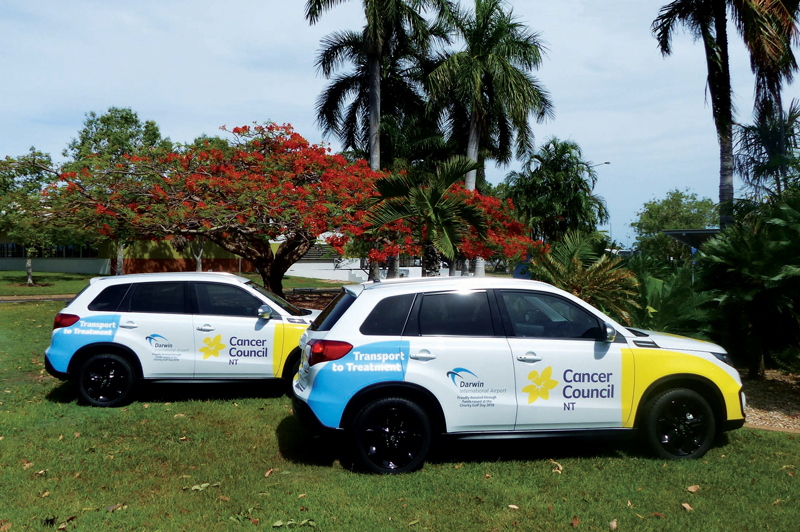 In August 2018, Darwin International Airport hosted its 12th Annual Charity Golf Day in support of Cancer Council NT. Every minute, every hour, every day, cancer never rests. 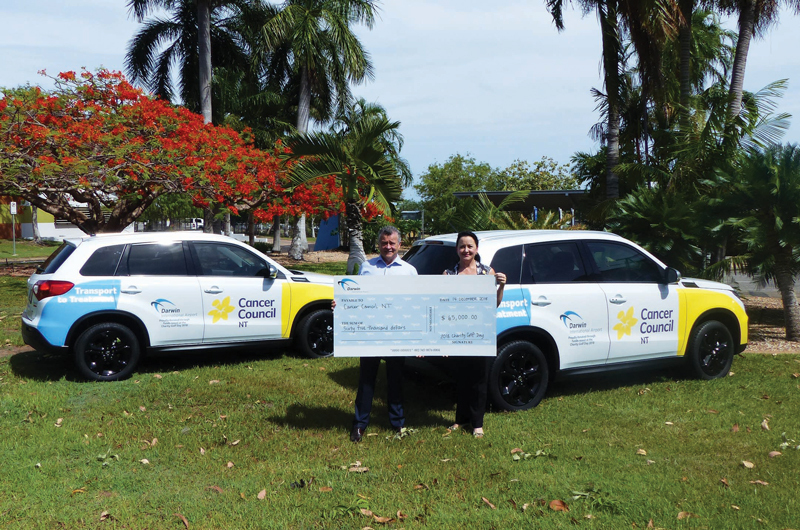 In 2018 the Golf Day reached new heights raising $65,000 for Cancer Council NT. Two replacement vehicles for their patient to treatment program have been purchased with the funds raised. The patient to treatment program offers a transport service to assist patients getting to and from their medical appointments, particularly people that live outside the Royal Darwin Hospital Transport bus service area. On Friday 18th August 2017, DIA hosted it's 11th Annual Charity Golf Day in support of Helping People Achieve (HPA), a local organsiation providing opportunity, independence and accommodation to Territorians with disabilities since 1963. A great day of fun and fundraising was had by everyone involved. With the generous support of our sponsors, teams and volunteers together we raised $40,000 to assist HPA to expand its community support through the redevelopment and expansion of a portion of their Yarrawonga premises to create a Day Program facility. This will involve the installation of a fully automated mobility access door to facilitate easy entry and exit, structural modifications to the internal floor plan and the supply and installation of appropriate furniture and facilities. The Day Program will provide activities, support and developmental training. In 2016, we raised $40,000 for Variety NT – The Children’s Charity, to help fund much-needed modifications for buses used to transport disabled school children in two Top End communities. The 2016 annual Charity Golf Day was exceptionally special. Not only was it the Golf Day's 10th birthday, this year also marks the 25th birthday of Variety NT. The day was a great success with our target of $40,000 being reached thanks to the generous contribution and donations of our stakeholders and guests, as well as a wonderful day had by all! Variety the children’s charity Northern Territory works directly with individual families and organisations in our mission to empower children who are sick, disadvantaged or have special needs to live, laugh and learn. Funds are usually spent on goods and services through our three core programs - Freedom Program, Caring for Kids Program and Future Kids Program. Variety NT has a wonderful Board of directors, enthusiastic committees and professional dedicated staff members in the head office, all of whom are instrumental in the success of Variety. Variety is a nationwide and worldwide charity and first began in Australia in 1975. To date we have delivered more than $180million to help Australia’s sick, disadvantaged and special needs children. With your help, Variety NT will assist Sunshine Coaches by providing crucial modifications and upgrades to vehicles which service two Northern Territory communities. Making these modifications is very expensive and this money will greatly support the project. Two schools are in serious need of modified coaches to help transport children. They are Palmerston Senior College and Shepherdson College. Palmerston Senior College has 50 children with varying degrees of intellectual and physical disabilities attending the SEU. The college has a number of innovative programs to support student development and to engage students to become more involved in the local community. 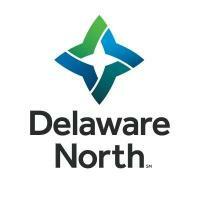 These include a shopping program, work experience, community access, camps and excursions. The coach will be customised with a single wheelchair lift and bay internally. This bus will also be made available for use at Variety NT’s Goanna Park Adventure Camps held each year during the July school holidays. This coach is an acute need for this community. They have a number of students who simply do not attend school because they cannot travel on the regular school bus. A customised coach with wheelchair lift and two wheelchair bays, will enable children with illness and disabilities to actually attend the school’s Learning and Wellness Centre and be a part of the school community. Providing access for these students will enable visits back to country and encourage full and active school participation. The coach will also be utilised outside of school hours to ensure these children have access to social community events and gatherings. It will make a significant and very meaningful difference in the student’s lives. There are around 30 students who are known to need this assistance, but it is also acknowledged that some children with disabilities are ‘hidden’ in the community, and this coach may assist their transition back to school. Their conditions vary and include muscular dystrophy, cerebral palsy, Machado Joseph’s Disease, cognitive impairment and profound deafness. Representatives from Variety NT have personally visited this community and met the children and their parents who need this support. As these two projects require major financial support, the funds raised by the Charity Golf Day will be pooled with funds raised by both Variety NT and the schools that are actively trying to help fund this initiative. 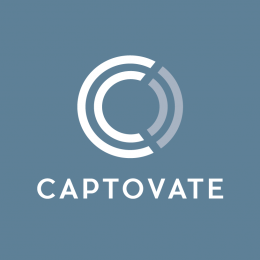 The time to dig deep for the community is now. Let’s help get these kids to school each day and provide an opportunity to learn, engage and prosper. CareFlight MediSim is a mobile medical training program that delivers free, simulation-based trauma care workshops to emergency services first responders in regional, rural and remote regions around Australia. In remote areas of the Territory where health resources are stretched, often the first people to attend accidents will be volunteer members of the local emergency service organisation. Sometimes, these rescue volunteers can wait many hours until professional medical help arrives. What the rescue volunteer does in the first five, 10 or 20 minutes can make the difference between a patient’s full recovery, a limited chance of recovery or even life and death. The MediSim workshops give rescue volunteers the skills to act decisively and enhance trauma patients’ long-term recovery significantly—and ultimately save lives. Since it began in 2011, MediSim has conducted 110 trauma care workshops nationally for more than 1600 emergency service personnel, each without cost to the rescue crews serving their communities. It is a huge investment of time and effort, involving many educators who travelled thousands of kilometres to share their expertise and dedication to improving trauma care for those in country Australia. In 2015 CareFlight will conduct 12 workshops around the Northern Territory including Watarrka, Alice Springs, Tennant Creek, Timber Creek, Mataranka, Adelaide River, Batchelor, Jabiru and Darwin. Due to the demand for the workshops, CareFlight Top End needs its own MediSim equipment, to avoid the costs and delays involved in transporting it from Sydney. A crucial piece needed is another car crash simulator and all funds raised at DIA’s Charity Golf Day will go towards its purchase. This year Darwin International Airport's Charity Golf Day, now in its eighth year, raised $38,000 for Foodbank NT. The food relief organisation works with charities to provide food for those in need, including some of the 15,479 homeless across the Territory. Thanks to the staff, tenants, partners and suppliers who partnered with DIA, the money raised will go towards a permanent freezer for Foodbank’s warehouse, freeing it from expensive monthly rental fees and helping to grow its capacity to store items such as meat, a dietary staple that is out of reach for many. Did you know prostate cancer kills one man every week in Darwin? 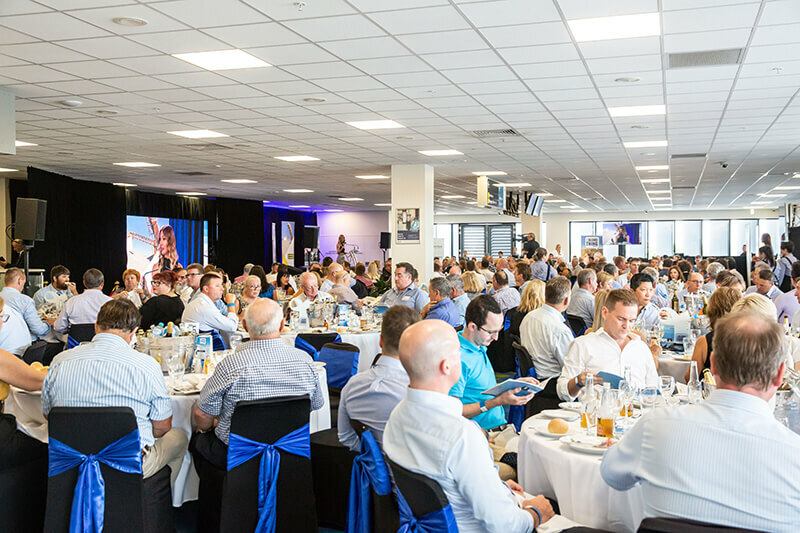 In March 2019, more than 250 business and community leaders got together for a special event, the second annual It’s a Bloke Thing Luncheon, to help raise money to fund Darwin’s first ever prostate cancer specialist care nurse. 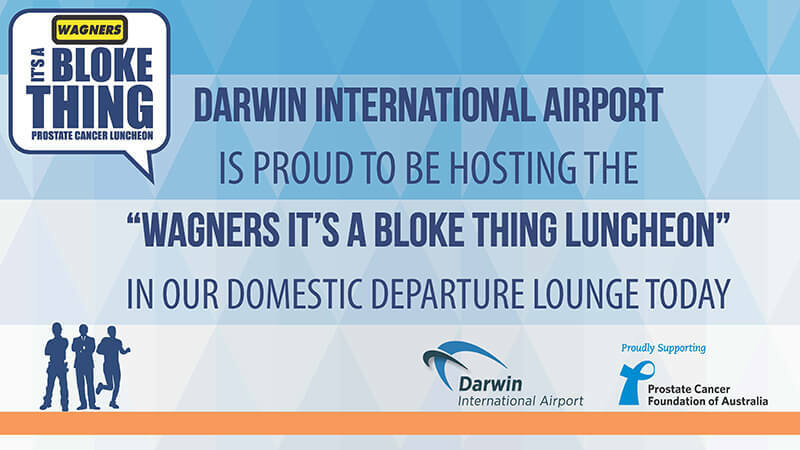 Darwin International Airport held the event in the domestic departure lounge. The result was outstanding - with $253,000 being raised towards this worthy cause. Airnorth director and Tourism NT Chairman, Michael Bridge, spearheaded the event, supported by a passionate committee led by It's a Bloke Thing Luncheon, Darwin Chair and radio identity Katie Woolf. Northern Territory Airports would like to thank everyone who attended the event, and the team who worked tirelessly to make It’s a Bloke Thing happen.